On Monday by phone, Putin informed Assad of his intention to supply Syria’s military with sophisticated S-300 air defense systems within two weeks. They’re able to intercept and destroy multiple hostile aircraft, ballistic, and other missiles at distances of over 250 km (over 155 miles). Washington and its NATO partners use the phony pretext of combating ISIS these countries support as the reason for their military activities in Syria. Israel claims its terror-bombing is all about combating an Iranian and Hezbollah threat that doesn’t exist. They’ve never targeted the Jewish state aggressively. Iran hasn’t attacked another country in centuries – what the US, NATO and Israel do repeatedly. After Israeli “criminal negligence” led to the September 17 downing of a Russian IL-20 reconnaissance plane, Shoigu said the incident wouldn’t go unanswered. Indeed not! Putin told Netanyahu that beefing up Syrian air defense capabilities is all about “preventing any potential threat to the lives of Russian servicemen,” his obligation as president. US/Israeli pressure and threats aren’t likely to get him to back off this time. Russia’s Defense Ministry is especially furious about the downing of its aircraft, killing 15 crew members, likely more greatly angered by Israel’s arrogant denial of responsibility for what happened. Indisputable facts debunk the IDF’s fabricated account of the incident, making the situation worse, exacerbated further by Israeli arrogance and veiled threats, compounded by Washington’s. Trump’s National Security Advisor John Bolton called Russia’s move a “major mistake,” adding it’ll cause “significant escalation” of tensions. Iranian military advisors alone are in Syria legally at the request of Damascus, no combat troops. Hezbollah forces also operate lawfully in the country, invited by Assad to combat ISIS and other US-supported terrorist groups. Relatively few Iranian military forces operate outside their own territory – none aggressively. Hundreds of thousands of US combat troops are deployed in scores of countries on every continent – along with countless numbers of so-called private military contractors (PMCs), operating unaccountably, and terrorist groups used as imperial foot soldiers. “We are trying to find every place we can where there is common ground, where we can work with the Russians.” They’ll be held “accountable” when working against US interests. Putin’s spokesman Dmitry Peskov said hardening Syria’s defense capabilities isn’t aimed at America, Israel or any other nations. It’s to protect Russian forces and other personnel in the country. Russia’s Deputy Foreign Minister Mikhail Bogdanov called supplying Syria’s military with S-300s the “right” thing to do. The IL-20’s downing “fundamentally undermined Israel’s relationship with Russia.” I believe it changed the relationship short of going this far. The status quo up to now ended. Events ahead will show to what extent Russia’s moves changed the dynamic in Syria. 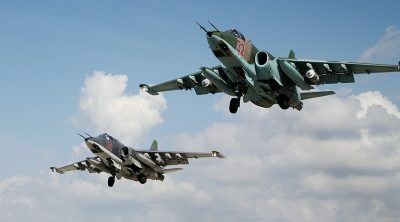 US-led NATO and Israel can still attack Syrian targets but not as easily as before once Russia’s moves are implemented. Their tactics will likely change. Militarily they have lots of options. They’re not about to back off from their regime change objective.